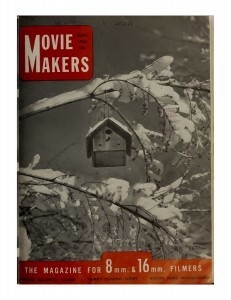 James Blue made these films during his undergraduate and graduate school years studying Speech and Theater at the University of Oregon. 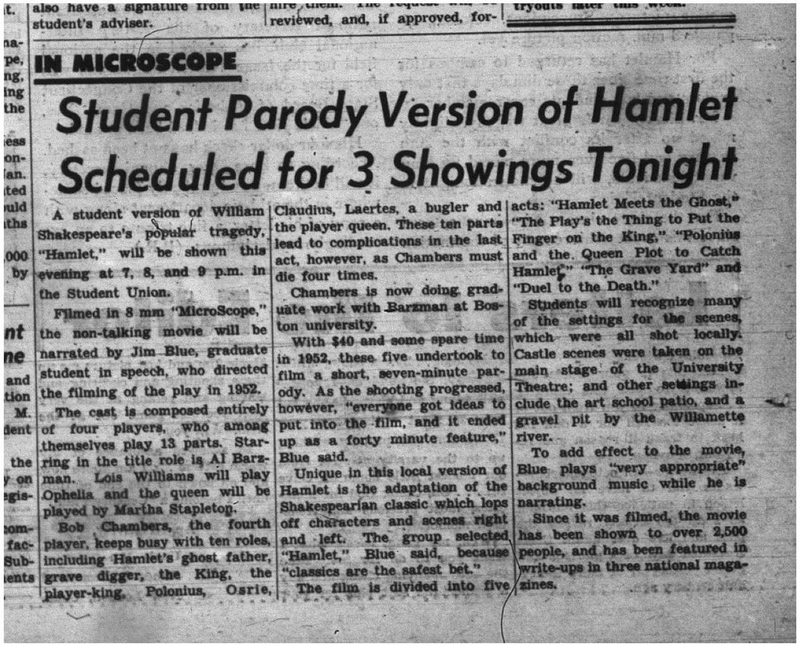 Recently, the original 8mm of Hamlet was discovered by Dan Blue, James Blue’s nephew and now the administrator of the James and Richard Blue Foundation. 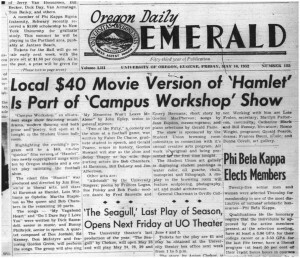 Hamlet has been donated to UO Libraries’ James Blue Archive, where it is presently being prepared for restoration and exhibition. 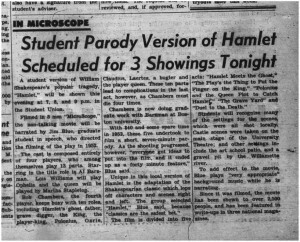 Blue’s parodic version of Hamlet was a huge sensation when it screened on campus to over 2000 people in the UO Student Union ballroom. 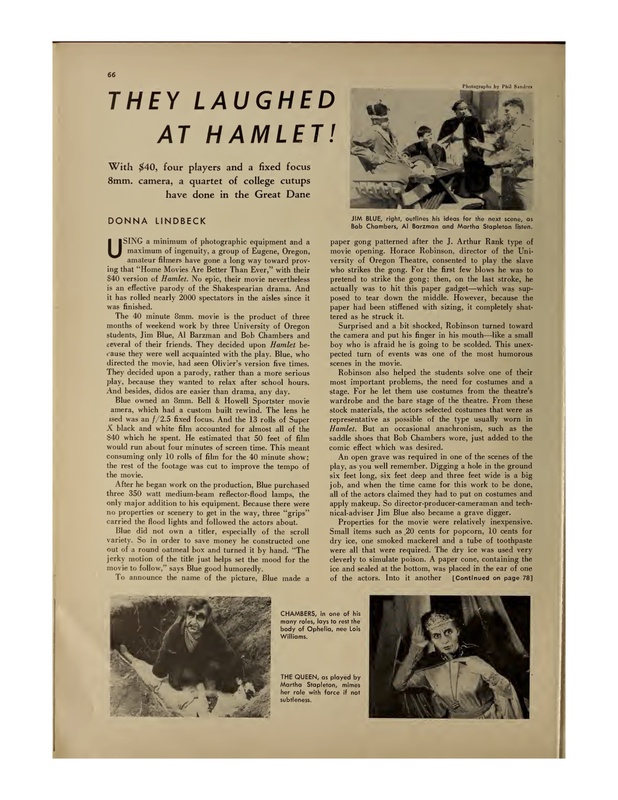 Word of this sensational student production even attracted national attention through an article in the March 1953 issue of the amateur film magazine, Movie Makers. 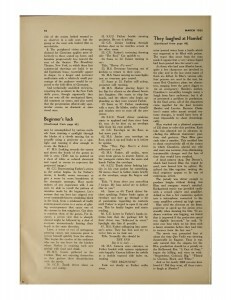 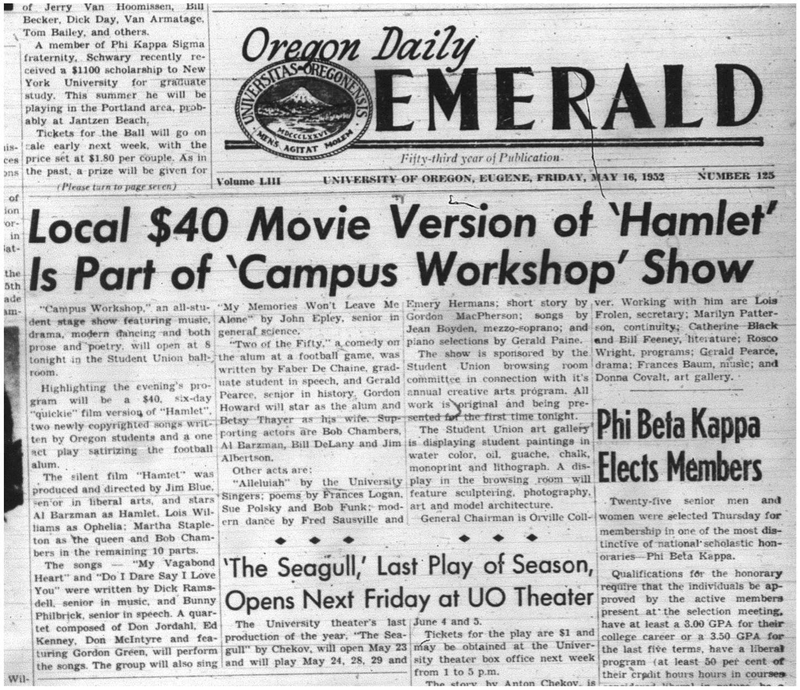 The Movie Makers article, “They Laughed at Hamlet!” and two articles from the Oregon Daily Emerald about the film, drawn from the James Blue Archive, are reprinted below. 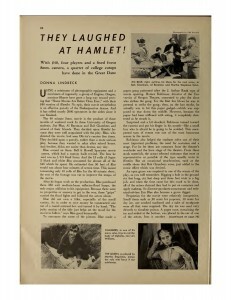 The first reports on an early showing of the film in 1952, and the second announces a return engagement in 1955. 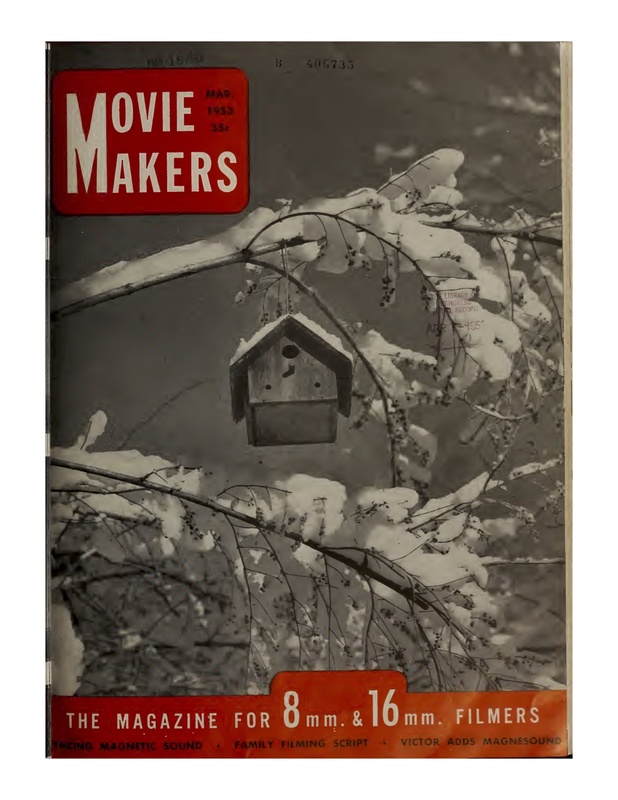 NOTE: HAMLET and other short films made by James Blue in Portland and Eugene from 1948-52 can now be viewed on a UO Libraries’ playlist of James Blue films located here.